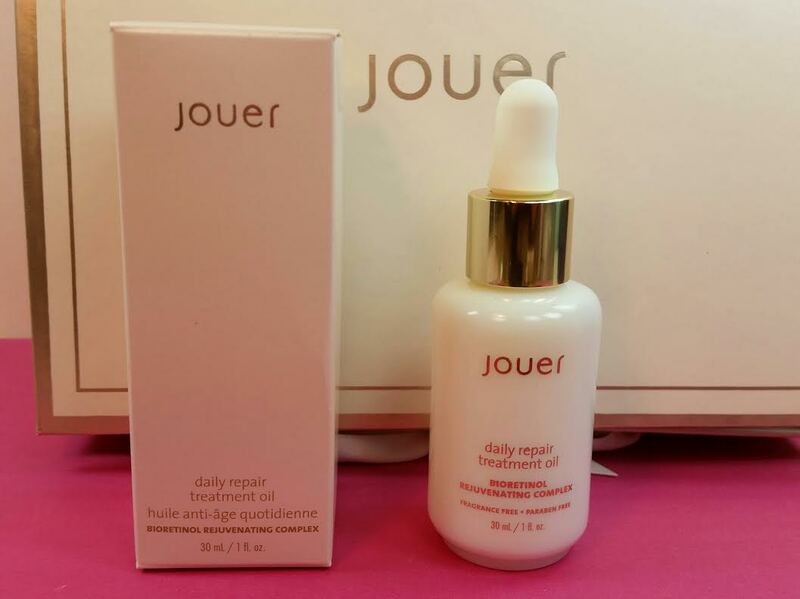 Jouer Daily Repair Treatment Oil-This is for dry skin. There was one question regarding skin and I believe I chose dryness and fine wrinkles over the other option which I think was something to do with blemishes and redness. This is a moisturizing oil that uses sunflower and jojoba oil along with several others. Sunflower Oil is an occlusive agent. That means it creates a barrier over your skin to keep moisture in. Because of that, I think I will only use this at night as the last product I apply. Putting another moisturizer on top of it wouldn't be effective because that oil barrier would have to be broken in order for it to penetrate. At least that's how I understand it. Creme Eyeshadow Crayon in Asphalt- This is so dark! How do I use this? I'm terrible at smoky eyes. Seriously, I'm always so horrified by how it turns out when I try. Even if I watch a step-by-step YouTube, pausing after every step! This formula has pearl pigments so it's pretty shiny. It does blend out pretty well if you do it right away. Wait too long and you'll be scrubbing for awhile, if my hand is any indication. The opposite end is also a sharpener, yay! Jouer Perfume Oil- So, this doesn't appear to have a name but they should name it because it smells like perfection to me. It's a blend of gardenia and jasmine with honeysuckle. It's combined with jojoba oil and it really is a pretty classic scent. What's awesome? This is a rollerball! Yes a teeny weeny little rollerball vial that will fit anywhere on your person, ready for touchups! 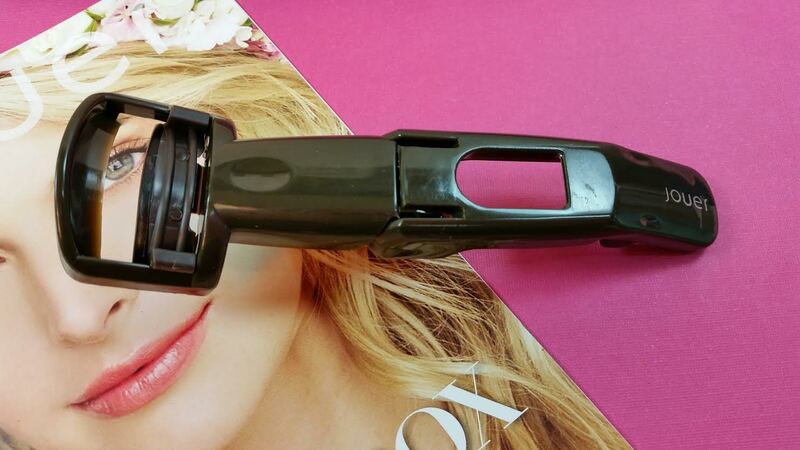 The box also included a travel Eyelash Curler. I will tell you right now that I only use travel eyelash curlers because I think they do a better, safer job. I'm happy to have a fresh new one! 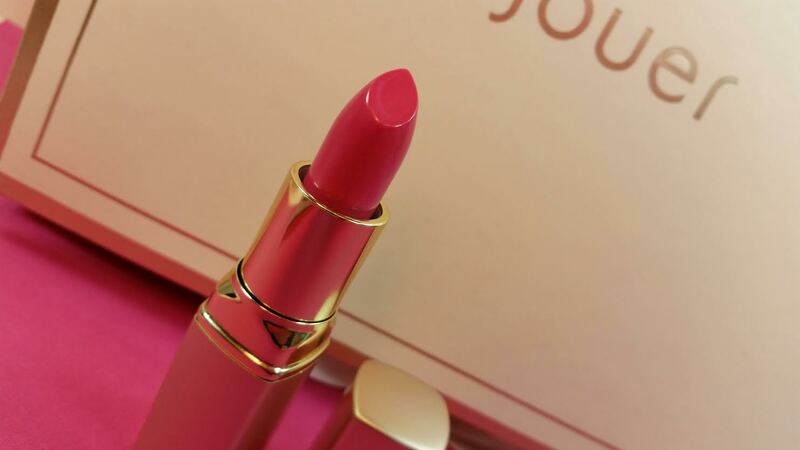 Jouer Hydrating Lipstick- My guess is that this is Whitney, a bright cool pink. It doesn't specify anywhere but I looked on their website. It's gorgeous and definitely pink. Like 80's bubblegum pink. It looks pretty good on me so I'm hooked. 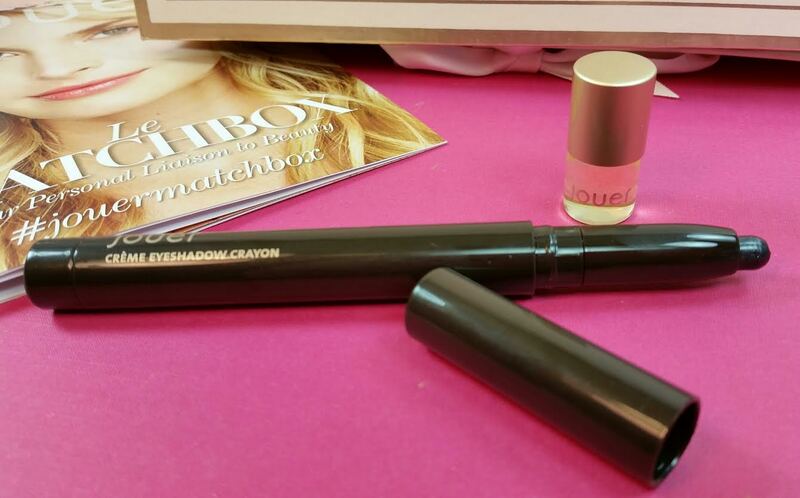 It glides on so smoothly and feels very moisturizing. It's got Almond Oil and Aloe Vera in it as well as some kind of Brazilian Cupuacu Butter. I love it. 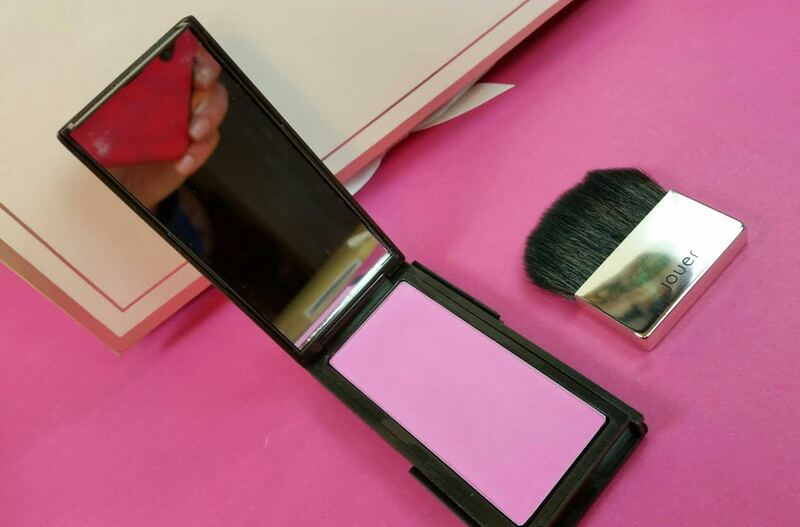 Mineral Powder Blush in Peony-This is a lightweight blush with soft, natural coverage. It has antioxidant protection in the forms of vitamins A and E. I can't decide about this. I have a blush that I love and I have preferred it over every other one I've tried since. So I didn't swatch this or use it because I might pass it along. I just don't think it can compare to my current blush. This also came with a cute little travel Blush Brush! I love the little extras. VERDICT: Wow. Just wow. This box really impressed me with it's curation and attention to skintone and type. They included something for face, eyes, lips, cheeks and body. It looks like that's going to be the formula for every box and I really appreciate the variety. The quality is also very good, though considering this is Jouer, that's to be expected. Was this worth the $45? Absolutely. I'm really excited to see what will be in the next box. This one was so nice! If you want to sign up for this box, here is what you need to do. 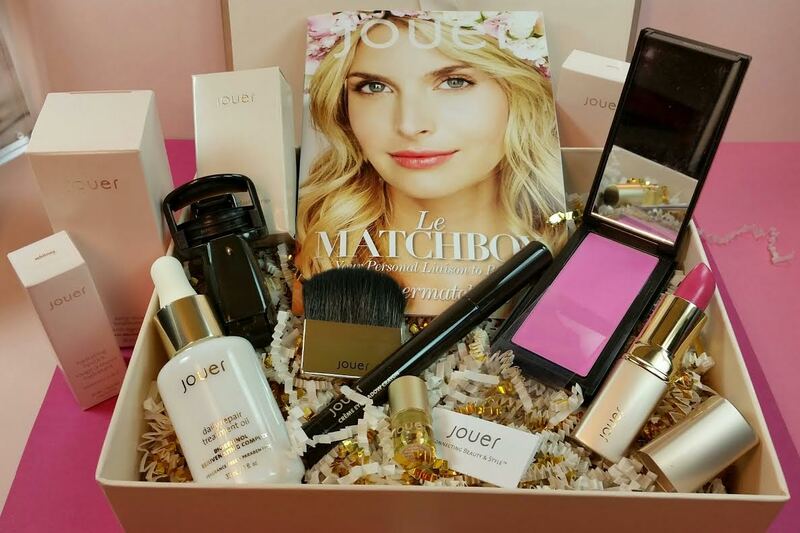 First, make a Jouer account (up in the top right corner) and make sure you are logged in. THEN click the Le Matchbox tab along the top of the website. I'm telling you this because that is NOT what I did and now my subscription is not connected to my actual account and I didn't receive a shipping email because they don't ask for an email address at checkout. I'm sure they'll fix that at some point but for now, for your own peace of mind, do it this way. What do you think? 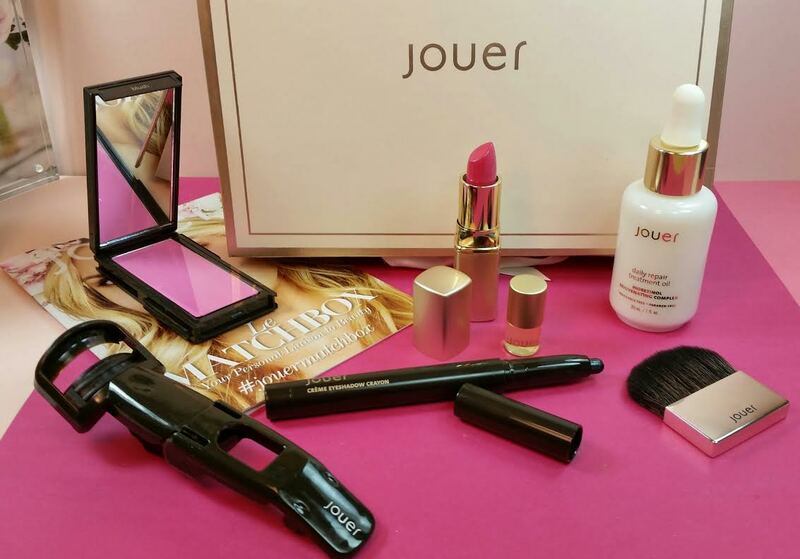 Do you like Jouer? Do you also think this was worth it? $45 is a lot but I really feel like I got my money's worth. What about you? Oh my gosh! I really want to try this. I've never seen a beauty box actually give stuff according to a person's skin tone. Definitely am going to try this box one day. Yes! That is part of the reason I was so intrigued! It makes a big difference when you're getting make up you *know* is going to work with your skin. Wow, these were sold out last week, but it looks like they are now taking orders. Nice!! Oh, good! I'm glad they got more in stock because I think this is a really fun box. Especially with the skin survey you take beforehand. I got this in the warm tones and it's great. I don't usually like any perfume but I love this one! 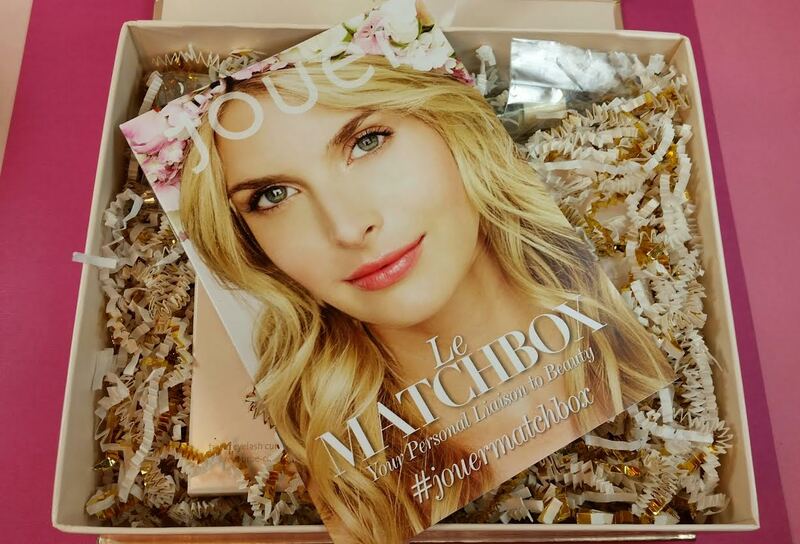 Did you get the same colors of lipstick and blush? The blush could go either way but I'm curious about the lipstick :D And yes, I love the perfume, too. I was really surprised because I wasn't expecting to since I'm pretty picky. I wore my lipstick out tonight. My husband was like "Whoa, that's... pink. Are you 11?" And I said "Yep." Pink and proud! Woohoo! !